A guide to the art of street magic. 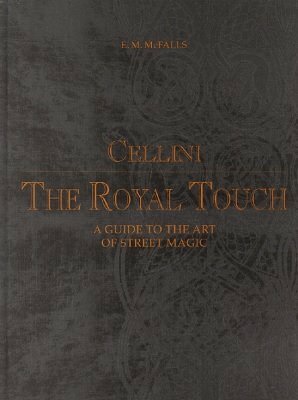 Cellini, who was a student of Slydini, became the most celebrated and most accomplished street magic performer in the world. In this work he explains the secrets of how to successfully present and perform magic. He has the ability to take old and dusty tricks and turns them into fresh and exciting performance art. On top he reveals new tricks he developed himself. 1st edition 1997, 1st digital edition 2018, 212 pages.